FREE State Stars’ new goal-scoring hero, Ayanda Nkosi, was playing amateur football in the University of Joburg’s residence leagues last month. But on Wednesday he hit the headlines when his stunning header earned Ea Lla Koto a smash-and-grab 1-0 win over Orlando Pirates at a packed Goble Park to propel Stars into seventh place in the Absa Premiership table with 25 points. Nkosi (23) was spotted by Stars’ new assistant coach Bradley Carnell when he was still coach of the UJ Varsity team, and the former Bafana Bafana defender knows talent when he sees it. 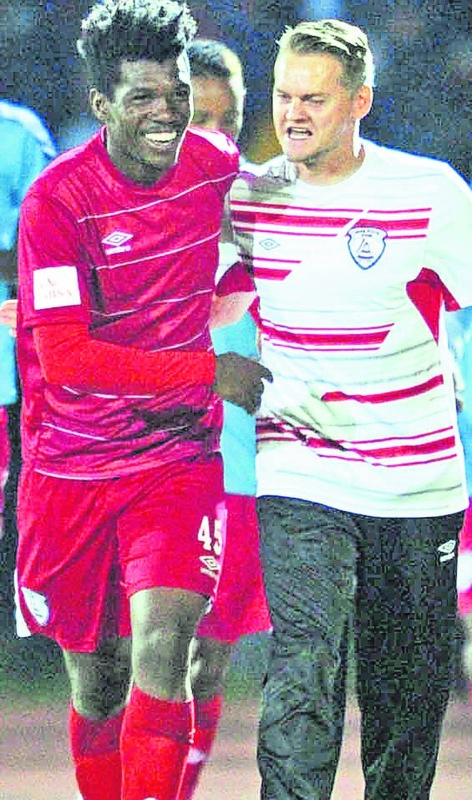 Said Carnell: “When I saw him he was a student, playing amateur football in UJ’s residence leagues. And when I joined Stars with new coach Giovanni Salinas on 2 January, we had a mountain of injuries. “Our strikers had been decimated. I told the coach about Nkosi and he decided to take a gamble on the student. He said he was settling in and getting used to Mzansi: “Football is football, no matter where it is played, but day by day I’m getting more used to the mentality of SA soccer. I’m very happy working in South Africa and I’m happy here at Stars.